This project has been a long time in the planning, I have done a lot of research finding out kids hand sizes, and they do vary greatly so I hope that you will find a pair to suit your child. I have used the softest aran weight yarn with a 50% wool content, so they will be very soft, very warm and very practical. 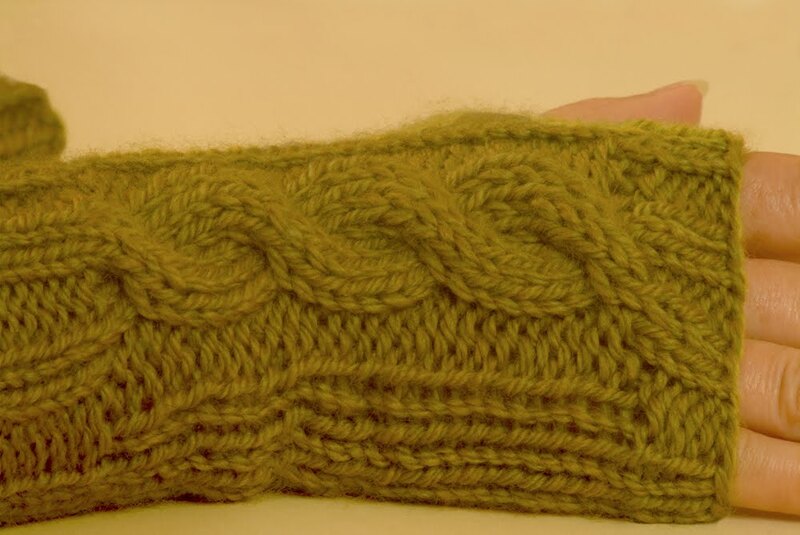 I finally got around to writing out my Cable knit wrist warmers pattern today, it took me over an hour to write it out, and then another hour to work out how to create a pdf! I couldn't do it from works word processor, as every site I tried to use told me it didn't convert this type of document, I'm sure that's how I did it on my old pc! I had to use office word 2007 which is new to me and I didn't have a clue how to use it, I'm out of practice with word, I ended up copying and pasting the whole document from one to the other. Anyway I managed to do it, but I don't know how I did it......!!!!!!!!!!! Looks like it's going to be the pink ones! After a few more comments on my fan page, it's looks like it's going to be the pink wrist warmers! So who wants to win them? post your comments to enter! I was just wondering... what will get me back to my blog? which has been long forgotten since I moved house..... So I've been thinking of doing another giveaway, only this time I want you to tell me what the prize will be......... got it so far........now don't be getting all greedy and wanting the most expensive item in my shop......that just wouldn't be playing the game now would it? but you can pick something from my shop and whatever item gets the most requests will be the prize. you don't have to post on both places, just one will do. One comment is one entry to my blog giveaway. Then in about a week I will announce which item was the most popular choice, and that will be the giveaway, to win it you will have to post a comment on this post, my fan page, or part 2 of this blog giveaway. I hope that is explained well enough. I will explain it again on the 2nd post, so watch out for my Blog Giveaway pt 2. Let me just clarify a little, any comment on any post of this giveaway, or on my fan page will get your name in the hat, so to speak, if you comment once on this post, and once on my fan page and then again on the 2nd blog post, then you will have entered 3 times. Is that clear? If in doubt just ask me, because I've confused myself Ha Ha! Have fun and good luck to everyone who enters. I've been abandoning my blog just lately as a lot has been going on in my life. I am moving to a new house in a week and I have a ton of packing to do! Can you even guess how much yarn I have? So I will be busy packing and moving, I will also be without an internet connection for a while, as here in France they don't rush anything, I'm hoping I will be connected again within a week of moving, but I'm not holding my breath. 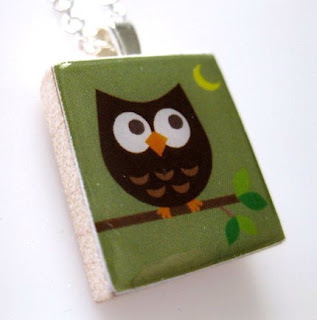 When I return I will be back in full force, with lots of new goodies to list in my etsy shop, so look out for my return. I will also be tweeting and catching up with all my friends on facebook. I'll still be around for a week, but I won't have much time to be very active. I'm gonna miss you all, so don't forget me. Hi, my name is Sandra, I have 3 children, 2 of which are teenagers and one is just a baby, so I am kept quite busy with my knitting, family and business.